Canadian Airborne paratroopers customized ammo belt.. Made out of pattern 1937 para webbing and aluminum para aircraft belt buckles, 2- (?) pouches (I don't what kind of pouches they are) and a 303 pouch permanatly fixed to web belt that is 40 " long... Maybe this guy was a sniper? and Is it Rare to find these? Why do you believe that this item has an airborne connection? Do you have the provenance for the belt? If it was rigger made I would expect to see the pouches sewn to the belt rather then riveted. A lot of these types of belts have been made up by people in their garages for use while hunting or whatever your imagination could come up with. I bought it from the son of the original owner of the belt. He told me his dad was in the 1st Canadian Parachute Battalion, and that his dad had it made in England. And he thinks his dad may have been a sniper. I would take that story with a grain of salt. 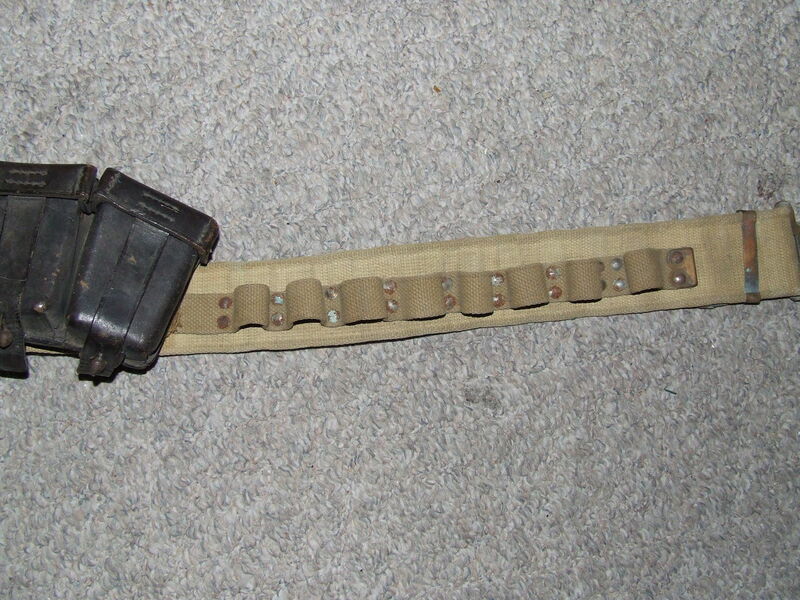 I have a similar p37 belt with pouches riveted on. It also came from a vets son and it indeed was his dads. But his dad put it together, just like infanteer said to use a tool belt in his shop. The kid may believe that story or maybe parts of it are true, but that belt I doubt was used in the war in that configuration. Do you have a name to see if indeed the vet was 1st Can Para? I can look up his name for you if you like. 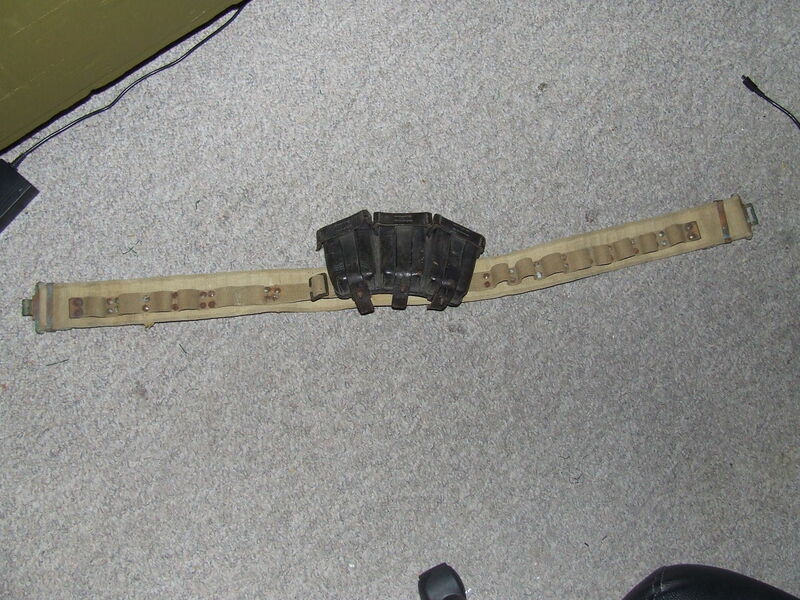 Oh, and I was going to add that the belt looks to be a pattern 1908 brace (shoulder strap) and not parachute webbing. Don't be too eager to accept claims about items being used by special troops/units especially when they are non standard. 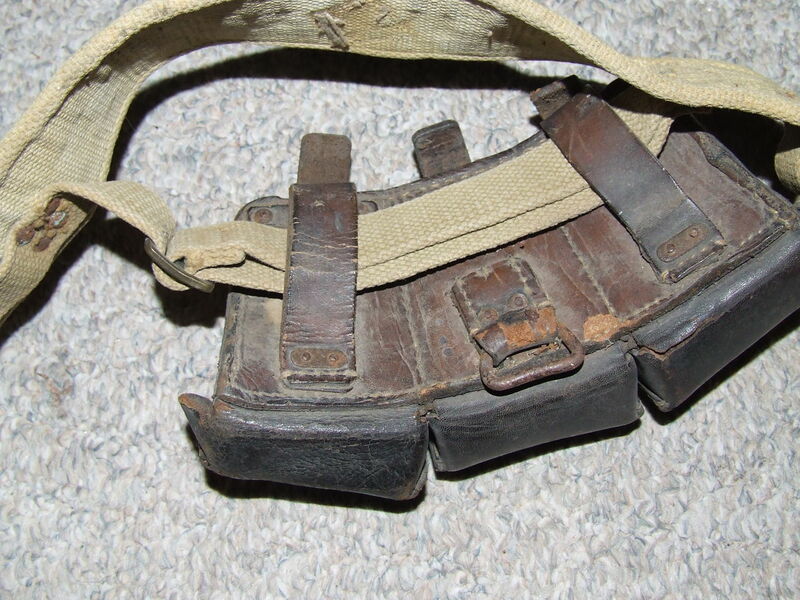 Here's one I have, p37 belt with a strap riveted on and using a german ammo pouch also. Probably set up for hunting, I can imagine the vet with this belt on loaded with shotgun shells and the german pouch loaded with other goodies he'd need on the hunt. Hey Jeff...Is that what you wear when shooting turkeys? mk1rceme wrote: Hey Jeff...Is that what you wear when shooting turkeys? Yep, nothing but the newest high tech gear for me!